I have put this site together as quickly as I could, so that there is very little loss of information available on the web about caiman. Up until early May of 2016 this was a very pretty, well constructed site. It was done by a good friend, Mazey. She does wonderful work and has a great eye! Some of her drawings can be found on her Facebook page. However, hackers found a security vulnerability in the program she used to develop the site and I was hacked. My hosting site said that the only way to prevent it from happening again is to remove everything that used that program. I am not a web designer. I know a few html codes, so I did what I could. I know it is not anywhere near what Mazey put together for me. I am saddened that people will do such things for no reason at all. Simply as an excuse for this not being as pretty as it used to be, or being far from completed, I will leave this note up for the time being. 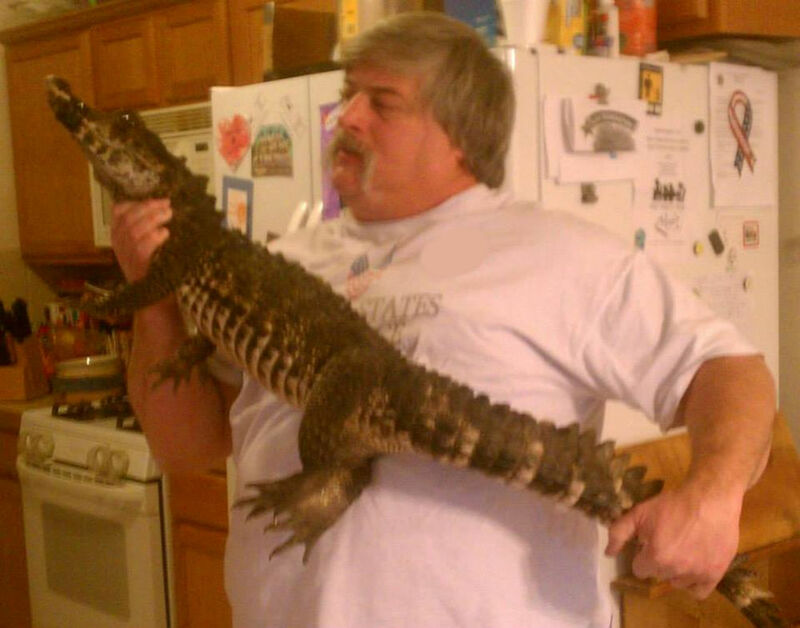 Bam CaimanHunter Rubenstein has been rescuing caiman since 2002. He's owned them as early as the 1970’s. Over the years he has expanded his rescue operation to include educating the public to the importance of caiman as a keystone species, to the role of caiman in an ecosystem, and to create an atmosphere conducive to educating K-12's and college herpetology students. CaimanHunter has rescued or effected removals from Texas Parks & Wildlife, Animal Control, and a great many other reputable and respectable organizations. This website chronicles the beginnings of CaimanHunter, CaimanHunter Ranch, and gives a great bit of detail about what CaimanHunter has learned about caiman through hands on, practical, real world experience. "Putting conservation and education in our future." You are now free to move around the site!